Eric Arthur Blair, who wrote with the pen name of George Orwell, was a popular essayist, novelist, critic and journalist of the 20th century. His works are marked by elements like awareness of social injustice, lucid prose, outspoken support of democratic socialism and opposition to totalitarianism. Orwell's writing covers a wide range including fiction, poetry, literary criticism and polemical journalism. He is best known for the dystopian novel 1984 and the allegorical novella Animal Farm. 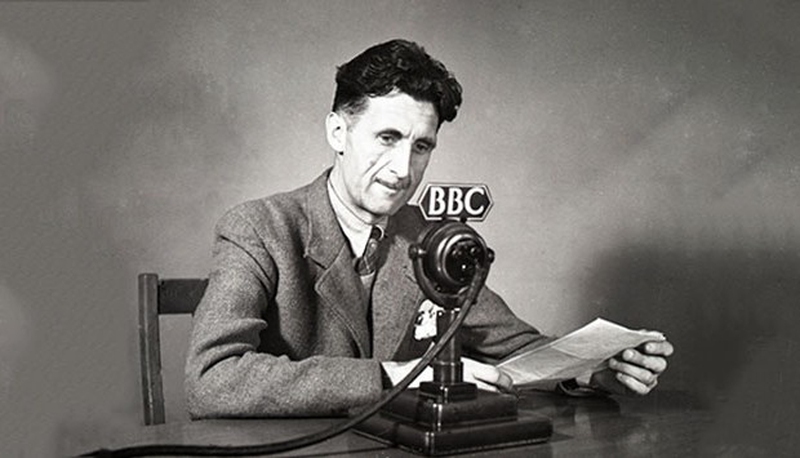 These famous George Orwell quotes will find out how influential his words were. Yes, lose it and end it! Truth is powerful in any situation. People who fight for our peace should not be ignored. Absolutely true for the past, present and future generations! Once the society moves away from truth, it inclines to be the wicked. Seizing the present is the most important thing. It is true that people who trigger war do not fight! The most powerful reason for war! It is often difficult to see clearly what is so close you. Acceptance is the key to happiness. If you can’t change, accept it. Those beliefs that are strongly followed become true. You can never fulfill the expectations of society. Once a person accepts that happiness is not the objective of life, he can be happy. Love is all about loving somebody more than others as one of George Orwell quotes reveals. People like those books that contain what they know. Sometimes animals are far better than human beings. People who are too wise can believe in wrong notions. It is at the end that you get power. Courageous people can write better!